Last year, over 800,000 Syrian refugees crossed the Aegean Sea from Turkey to Greece to find a home in Europe. Being the largest port in Greece, the city of Piraeus is directly confronted with this seemingly endless influx. It is therefore no surprise that AEGEE-Peiraias is also deeply involved in events about the Refugee Crisis, and this commitment has been worth to be elected as Local of the Month of January. 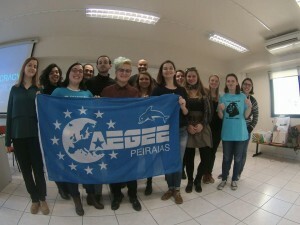 To find out more about AEGEE-Peiraias and the refugee crisis, or about AEGEE-Peiraias in general, check out this interview below with their president, Diana Ponirou. The AEGEEan: For everyone who does not know you yet, could you introduce yourself? You have organised an event called ‘EU debt & Refugee Crisis’ and you are going to organise a Summer University where you are going to do volunteer work at refugee camps. Why is AEGEE-Peiraias so committed to the refugee crisis and do you feel other locals are just as committed to the refugee crisis as you are? We are an antenna that has been very sensitive to the current refugee crisis because of the location of our local’s city. The port of Piraeus is the first major city where refugees reach in the European Union territory. Crises both divide and unite countries, societies, communities etc. Currently in the EU and Europe we have been experiencing both. Greece, which until recently has had almost zero infrastructure to welcome refugees, also faces an unprecedented economic crisis, bears the burden of welcoming an influx of refugees that are in a limbo state regarding their refugee status. Sweden and other countries are stepping in to accept a record number of refugees in their countries. Other countries, however, are closing down their borders refusing to grant a safe passage to refugees and immigrants and refusing to accept their quotas of refugees. This collective failure at a EU level to come up with a viable plan that is in accordance with human rights treaties and respect towards refugees and immigrants, has led many NGOs such as ourselves, our local branch and many other equally committed locals in our network, to step in and make up for the collective failures of our governments by providing necessary help to cover some of the basic needs of the incoming refugees. 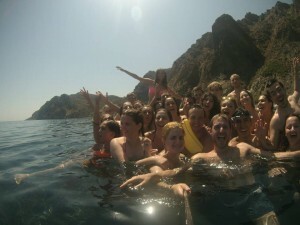 Part of your Summer University will be dedicated to doing volunteer work on the islands of Lesbos and Chios. Could you tell us a bit more in detail what you are going to do there? In collaboration with other NGOs we will be assigned to tasks that are related to helping the refugees reach the shore safely and various other administrative issues that come up once the refugees reach the island. The other major topic of the aforementioned event was the EU debt crisis. 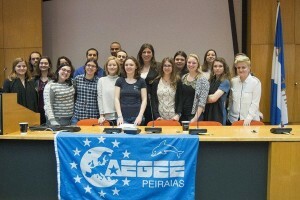 Did AEGEE-Peiraias also organise other events about the EU debt crisis? No, we haven’t organised other events about the EU debt crisis, but maybe in the future we will. What other events has AEGEE-Peiraias planned for the future? 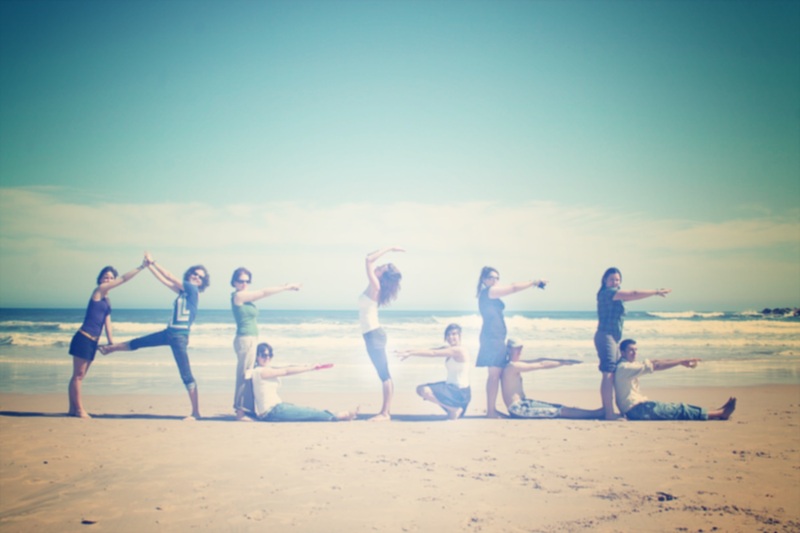 Well, as you know we have our Summer University (you can check it here) . We will also organise a summer event at the end of August about how alcohol as part of a country’s culture connects us. Let’s say that we will learn how to drink responsibly! Last, we are going to organise the 1st Agora Euroland (Initiated by Laboratoire Européen d’Anticipation Politique (LEAP) , in cooperation with Association des Amis de Franck Biancheri (AAFB) and in partnership with AEGEE-Europe). Piraeus is part of the same agglomeration as Athens. Does AEGEE-Peiraias/do members of AEGEE-Peiraias often hang out or collaborate with (members of) AEGEE-Athina?